A strange sickness that plagued the Sawa training camp for a few years has made a comeback. Recently, several cases were observed in the remote camps of Sahil region in Northern Eritrea. Conscripts who went through Sawa military training say that it inflicts only girls. A survey carried out by awate.com found out that nine out of the fifteen Eritreans who have been in Sawa for more than two years are aware of the sickness. Based on the description of the sickness and its effects on the afflicted, “It is possibly Dystonia” a rare neurological disorder that affects different parts of the body. Neither the Eritrean government nor its women’s franchise, The National Union of Eritrean Women (NUEW), have ever raised the issue of “Rit-Les”; so far it has been kept secret. Around the military camps in Western Eritrea, it is commonly explained as a spell, and in terms of superstitious beliefs related to old graves around the area. 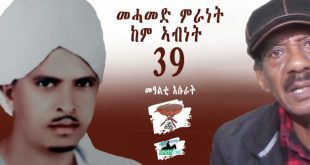 This year, NUEW has been busy celebrating its 35th anniversary across Eritrea and in many cities around the world where the Eritrean ruling party has a support base. In 2009, the story of the twenty-five year old Desiree Jennings of Virginia was widely covered in the news; it was claimed that she developed dystonia after taking flu shot. The mouth of PFDJ news outlet shabait.com came today headed by a very tricking title to its ardent receivers. Why the title is headed by UN while the whole content is all about UNICEF and UNDP issues. Of course UNICEF and UNDP will be there as they are becoming the first victims of surmounting budget pressure. These two UN branches prefer to deploy their all sided help whatever the end receiver is in trying to reduce the impact they are facing. In short, the refugees. The propaganda here is as if PFDJ is having talks with UN delegates so that he will use his usual lying machine. The truth is, UNICEF and UNDP will supply hard currency to its pocket and hence by he will continue his usual business. I will ask these two organizations to consider their approach and cut complete relationship only then a meaningful cooperation will exist. If not, UNDP will assist the slavery projects and UNICEF will receive those slaved people in near-by countries. 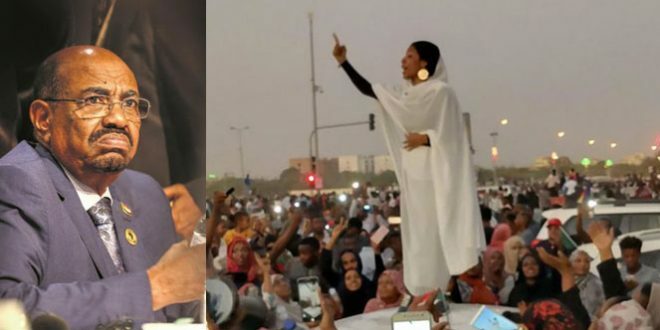 The resilent unstoppable Eritreans… making woyane/pfdj despair by defeating their warmonger !I am quite sure that our unstopable ELF/EPLF march forward will make all woyanes and pfdjites change their mind from defeating Eritrea into “….if you can not beat them join them……” attitude !! which I see it already started and in motion ….!! Thanks Awate Gedab News as well as sister Tzigereda for the NUEW report. I hope all the pro-Eritrean people will feel emotionally rewarded to see the issue being discussed to find treatments. Medicines such as Trihexyphenidyl (Artane) or Levodopa (Sinemet) or Clonazepam or Tetsrabenazine can be tried. The pro-Isayas group might have tried to cover up not because they were embarrassed or ashamed but because they knew it was another crime to be added to the list. The issue should not be dismissed as a mere cover up. I should be added to the list of Isayas’s crimes against the Eritrean youth. 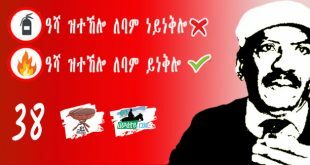 Awate thanks for the ongoing focus on primary issues of Eritreans. This disease is nothing new. From what I heard from some Eritrean friends it was very common in Ethiopian prisoners of war camps in the liberated areas of Eritrea during the war in the 80s. I think we can safely say that this is the effect of being kept in a prisoner of war camp environment that Sawa is. There is no difference between Sawa and a prisoner of war camp. Why do you think these young ladies ae marching backwards? It is a reaction to the military drill that requires them to march forward. It is just a psychological condition that requires understanding and psycho-social support to these young ladies – John, friend of Eritrea. As many people are pointing out here, I also saw with my own eyes some girls suffering from this medical situtiation in the mid-ninties in Sawa. The girls really had a problem to keep balance and they were walking in pretty much the same way as in the youtube video you’ve linked. At that time, people were talking that the situation was a mental issue triggered by the harsh environment that the conscripts were exposed to. People were talking that specially girls from the cities, with a minimum experience of hardwork or any hardship were more exposed to the illness. It is good that you witnessed also for the existence of such disease in the 1990s. If you read my hypothesis, I didn’t blame any except the conditions that it cause it. It could be environmental, medical or life condition that changes the hormonal change or which causes the physical disorder. But, we can agree on one thing I think, this is a serious issue. I have my uncle’s daughter who suffered from this for the last 10 years. After 7 or 8 years she was able managing to walk standing and with the help of a stick. Before, first she was completely paralaized and slowly she came to manage her hands which helped her to use wheel chair. And slowly, her leg muscles. Therefore, this is not of political issue, it is a serious medical problem that need to be investigated by concerned agents. We don’t want anyone, even you to burn on fire let alone Haile TG. What else is going crazy in your mind? I didn’t know that there are deki hidirtaina here at awate though my mother used to tell me a lot about such. Real gual hidirtina Gud. What I am made to believe about deqi hidrtna is that they are ghost manifestation of people whose spirit is unable to depart the location where their soul parted their physical self (died). Religious believers consider that fithat (final rites) are needed to release the spirit and allow it to return to its origin (God). Even, some people assert that the reason the spirit refuses to leave the scene where the physical being was separated from the soul is because of strong unresolved attachments between the physical being and the physical surroundings and physical events that lead to the person passing away. Cyber deqi hidrtna is comparable in away because the individual nickname was exposed with some sordid writings it penned in other places and hence the nickname forced to separate from its orginal owner (it died). In this case, the spirit behind that nickname refuses to part the location and continues to Hercules the the comment section where nickname and real owner were separated and the nickname died. In this case, haileTG had much to do with such sudden death and the spirit is always returning to taunt haileTG. The problem is however, haileTG gives no hoots to some stupid and faceless demon and hence even this particular guwal hidrtna becomes troubled and restless when ever she senses the presence of the mentally, physically, linguistically and spiritually fearsome and fire breathing dragon haileTD (which she used to mean haile The Dragon in her other post). pfdj / woyane and their sickly media campaign against the people. on behalf of our party’s members and supporters. hostile media outlets have drastically changed, neutralized and tamed. Yeh that is how it works as the saying goes. Since recent AT articles are devoted to the Bela Below (Tigre adage, that has enhanced the lexicon of Tigrigna language, Mahmud can elaborate on its derivation and adoption). I have a fresh Bela Below story. I heard few days ago from a good Eritrean friend that surprised me a lot. When ELF was first organized itself in Cairo Egypt most of the members were Eritrean Moslems. They wanted Christians to be included in the organization. At that time Mr.Woldeab Woldemariam who is regarded by most Eritreans as the father of Eritreans for independence was also residing in Cairo, Egypt. The ELF organizers invited Mr. Woldeba to join them, and I was told he refused. As a result ELF started as a Moslem lead Eritrean Liberation Front. Ethiopia exploited this to divide Eritreans by labeling ELF as a Arab instigated Muslims organization and recruited exclusively Christian Highlanders to fight ELF. The rest is history. Is this Bela Below story true? Anxious to know. If you take the launching of Eritrean armed struggle as a national project, it would be seen as a continuation of Eitrean Liberation Movement or maHber ShewaEte. It was a logical continuation (the intent to liberate Eritrea)although leaders of both groups (proponents of armed struggle, your topic, and ELM) had tactical difference. In that regard, you could say Eritrean christians were as pioneers as their Muslim brethrens. ELM was more metropolitan and encompassing all s3egments of our people. Regarding welwel, he preceeds them in terms of calling for liberation, so you could say, the students who were in Cairo were influenced by works of WelWel and sheiK Ibrahim SulTan and activities of Osman Sabe. I am not sure of the specific biela bielow you are talking about, but both fathers (welwel and Ibrahim) had a somewhat rocky relationship with the people who lead the revolution up until the mid eighties. They assumed their elderly position till the end, both calling for unity. Therfore, their story tells you they were there before the big bang, Ethiopian rulers know their roles, but they have to paint the revolution as instigated by Arab petrodollar. Wasn’t Woldeab targeted by Ethiopian agents, long before 1961, more than 7 times, resulting in bodily harms and wasn’t he forced to exile by Ethiopia? You can also tell dawit about the moving speech/letter Welwel wrote as Ibrahim Sultan’s eulogy, “Yzkereka do”. You can also tell/remind the man who in the beginning created the Ethiopian and Eritrean identities , dawit about how Haile DeruE , now suffering from diabetic and blind in Ela-Ero how he practiced the “sefa”(chewing tobacco) to train his body for the ultimate joining of the struggle that was dominated by the Muslims. This is a testimony by his friend and school mate Amar W.
Dawit true to his PFDJ pedigree is trying to widen the cleavage that IA created when he splintered and wrote Nihan Elamanan to paint ELF a Muslim front who slaughtered Christians. ELF was dominated both in its ranks and files and leadership by High Landers and Christians. 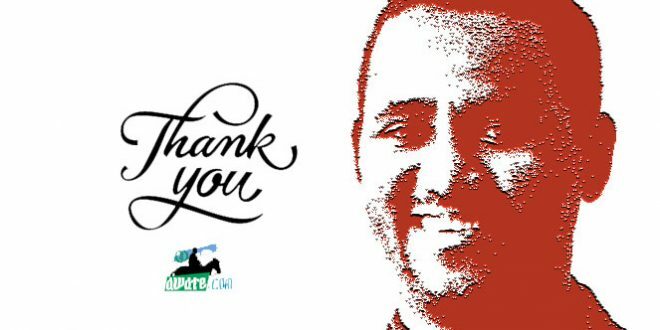 2. ms dawit aytebaeseni, you are on your own. 3. 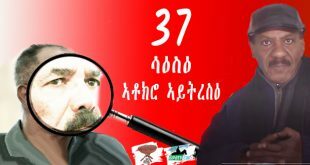 Hands off of the legendary EPLF; I don’t care about PIA, DIA, IA, CIA, WAAY-Ane,…EPLF belongs to Hafash, if you are not proud of that then you got nitrickay. Before that, though, you have an hour to repent (Hsebelu ikha, nab lbkha temeles). In mid 1960s brave young students broke the psychological barrier of those days and joined what many (mostly rural and ill-informed Kebesites) thought was a band of bandits lead and composed of Muslims. They joined, and guess what? They were given proportional access to power and scholatship. When the time came to disperse the liberation army to Zonal operations, they gave our christian brothers their share (5th Zone). With the increase of Haileselassie atrocities, specifically targeting Muslim villages, in late 1960s, ELF leadership did not rise to the occasion in checking their combatants feelings. Many Muslim leaders were angry at what the comandos, who where mainly composed of the christian sector, were doing and overeacted in treating their christian comrades. The leadership of that time ( of which IA was a member) should have educated the combatants that Hailesselasie and not the poor peasant commandos who was responsible of the atrocities. We cannot forget what those brave brothers faced, who had no crime but the will to fight for their people. That black spot needs to be researched. However, that same ELF was later swelled with cjristian compatriots; until this time they are fiercest defenders of that organization. That shows you we are past that experience. Both organizations remain to be respected by the majority of Eritreans; anything else is done for narrow political scores. I think we both have agreed on pre-1970. You just spoil the moment with your “alliance of killers.” Saay asked you to describe that coined word and here we are waiting. Please slow down your swagger, and sing: ሻዕብየት ጠወረት፡ እስትዕማር ኣፍገረት፡ —–ኣራዲ ዎ ሻዕባ ሓረረት. History needs some reflection and deep appreciation of the circumstances which had come to make it. On ELF tegadelti, I have the same feelings; Although I don’t forgive you for representing tegadelti shaebia as more vulgar, bigoted, hot tempered compared to their ELF counterparts. You will have to explain a lot of things Sem. 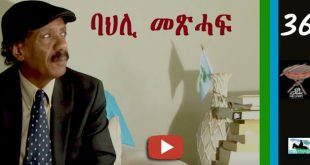 Ok, I will sing the lines in deference to my older brother, “ayay teg/ Wedi Saleh and I am not being fecacious, but minus ሻዕባ ሓረረት.. Am I being spoiled brat expecting the rule of law in silver plate as I say about what the romantics say about the de-romantics? If you have listened to the interview with Amb. Andebrhan about how he locked heads with IA and what he considered to be betrayal of the promise, ok I am impressed that he was trying to implement the rule of law in every assignment he was appointed to, but I am not impressed that he was expecting IA to keep his promise. There were people who figured IA long time ago and they organized clandestinely.They were the likes of btsay Goitom Berhe. What I came to know is that this group were this close to completing the democratic coup on IA and his “Alliance of Killers Co, that close that when Goitom was arrested IA feared that the deeply entrenched group my retaliate and he did not kill Goitom for a long time, until he was sure they arrested every member. You were there you can enlighten me. Call me a revisionist, history is important, if you do not know it, you are doomed to repeat it said someone who was much smarter than I am. A successful commodities investor, Jim Roger, who retired at the age 37 was asked by a young aspiring student for his advice of a field of study to be a success in investor, Mr.Roger without skipping a beat replied,: Study history. I find it disturbing the almost shunning of history from every EPLF tegadalai I talked so far, and this attitude has leaked to the youth. Now during our heated debate you always insinuate and many others that those of us who are very critical of the Ghedli take how hard it was and we lack the appreciation that is not true. I witnessed first hand when I visited that to be tegadalai is very hard even without the carnage of the war, maiming and death. I know that just o live in Hishskib is not for the faint of hearts. Collecting wood to burn fire when smoke blinds your eyes “Eufffff, Eufffff”, the skies of Sahel that does not rain even with “mihlela”, decides dribble when it smels the whiff of your fire as if to deliberately complicate life for you. The dribbles that does not give life even to a single straw successfully extinguishes the fire that gave life to with your tears. You start all over again, “tsnAt” under your belt. Fetching water, enduring the heat that the shining sun generously bestows onto the rocks, which amplify it by reflecting it back alone is a challenge. And I cannot even begin to imagine what war, bombing and daily death will require in terms of tenacity, guts and patience. So those who were enduring these with a smile in their faces, the “alliance of killers does not apply to them, only to DIA and the un repenting PFDJ would say that about those tegadalti, who I had pleasure to meet. among them my loved ones. who shares his knowledge and experience calmly. was referring to specific moment of our history on launching the armed struggle. my satisfaction, and I will search for the truth till I find it. even today the enemies of Eritrean unity and independence exploiting it. compatriots; until this time they are fiercest defenders of that organization. There is nothing I can add or subtract to the above brief true statement of our history. Let me add few of my historical observation from watching on the sideline. the direction of Eritrean Struggle for Independence. sacrifices of our martyrs on all fronts. These types of efforts should be done with the intent of learning history, not for organizational revival. That era is behind us, anyway. Oh, on the document nHnan Elamanan, it’s an idea; but it won’t be in the immediate future. may put their fingers trying to help the ship to withstand the turbulent storm of the ocean..
Eritrea I am confident Eritrea will reach its ultimate destination of peaceful, democratic and developed safe harbor. reflect on our past journey and contemplate our future and our country. of the past for it has long been gone”. Going back to 1961 will only teach you good lessons. The problem will start from 1970, right after EPLF’s birth. Else, it was a fabricated defamation though I will not be surpised when you bring your Nihnan Nisun allegation. 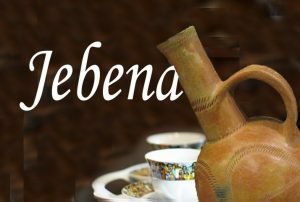 From what I learned, Abona Ato Woldeab Woldemariam was an educator, agitator and orginzer of all activities that took place in Eritrea or in Cairo. If you deny that he was not broadcasting Radio program from Cairo, and if you deny that ELF was first established in 1960, then, you are nothing but a worshiper of Nuhnan Elamanan. If you real want to learn your history open your mid to read and understand for yourself. Repeating some jargon you heard is not knowledge. 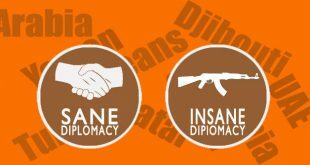 I bet you have not read Nihnan Elamanan document. TES I read your writings here at AT as an entertainment . I wish AT created ‘Entertainments Section” for people like you and Semere. It is good that mine is entertaining you. Through entertainment only the minds of like you can be educated. Thanks for saying this. To your attention, I read your trashy comments to see your ignorance. And I respond you to show how much ignorant and dump follower you are. Oh my God, you are betting as if I don’t read your bible. I wish I didn’t. I wish such satanic manifesto didn’t pollute our history. Unfortunately, through your bible (Nihnan Elamanan) that I came to learn how awful doctrine you guided with. 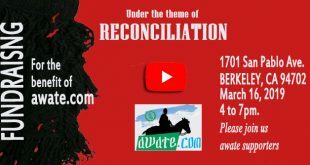 May your redemption be soon here by Awate Forumers from your ignorance. You know why I am hoping this? It is simply because I love you as human being. BTW, ‘Rit-les’ is as old and synonymous as Sawa. Just ask any 1st round national service member…. Oh my God, you have revealed a big secret. “It is possible the disease is caused by expired or contaminated medication. If that is the case, the medicine must have been given only to women, “because it could have been medications that only women can take.” I was in Sawa in 2001 and it was not uncommon to see women affected by ‘lewit’ And worse, the militry teachers treat it as psychological self-imposed escaping mechanism and hence are not allowed to take permission for medical treatment. This news must reach every where. WHO should come and respond. I have seen ladies walking “Lewit” but I never guesed as such. The cause is now revealed, it is the medication in which all ladies in Eritrea are almost taking these days. 1. Due to shortage of electric supply and most of the time being off, the storage condition of that medicine might not be met and hence changes its property. 3. The medicine can be expired. Thank you for bringing this to the public attention. I don’t think ‘Rit-les’ is related to expired medicine . I think it is physical manifestation of mental anxiety/stress, possibly magnified by hormonal changes. It usually goes away by itself when the patient is allowed to rest. What I know that Eritrean women who go to Sawa and those at colleges take a regular vacacination. My students were doing that. I didn’t have any idea why they do it but it is a king of national campaign. Here is what I googled on youtube to get what dysonia is: https://www.youtube.com/watch?v=5ztiAN9k584. Coontemplate please. If it is true, it is a national threat and we need to combat by all means we can. 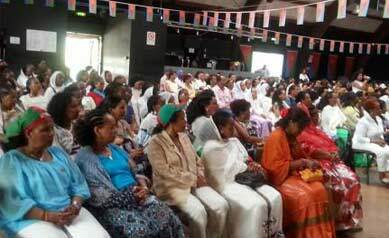 As mentioned in your article above, the PFDJ’s women’s organization’s planned festival in the city of Göppingen is being held in a hangar. 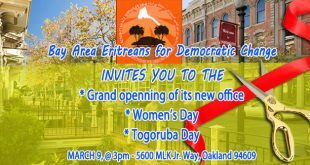 The organizers of the event went as far as lying to the media recently when they came to claim they were not the PFDJ arm in the diaspora (Read). It was also previously reported that they invited the Mayor of the city to partake in their dictator worship inside the hangar, that will likely be surrounded by riot police, and he declined promptly. 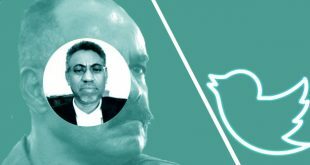 As many justice seekers work incredibly hard to humiliate and deny space the PFDJ, the limelight to sell its rotten image as popular, many people still misunderstand the purpose (or the tactical relevance to the struggle) of such confrontational engagements between justice seekers and regime operatives here in the diaspora. The particular approach of presenting an alternative narrative is actually indispensable to the struggle for justice and democracy. By holding such festivals, the regime is mainly attempting to write a falsified narrative that its policies are supported and its hold to power legitimate and popular. The justice seekers on the other hand would come to the scene, and do everything possible to humiliate, terrify and throw off course the regime operatives to write the opposite narrative that its attempt was challenged by popular resistance. There is no other way such a message can be communicated than by taking a direct route of challenging the events. Holding an alternative opposition event is not relevant to the issue or objective on hand. The goal here is to deny the regime the grounds to claim it is supported by people. Such is a dangerous propaganda feed that reinforces its oppressive rules and undermine the possibility of emboldening the masses to break the silent suffering. It can only be achieved by direct engagement head on. To get a summary of the way the concept works, if you are pressed for time, you can get Wikipedia summary (Here). If you’re the type with deep thirst for original knowledge, then you can read the whole book (Here). 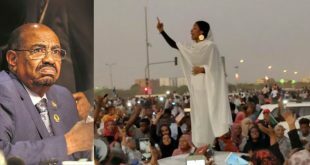 In both cases, you would appreciate why the regime doggedly spends so much time and resource to hold such useless gatherings that are often only attended by the elderly (ghedli era) supporters or those with personal gain as operatives or indirect beneficiaries of the crimes against the Eritrean people. The issue of walking backward was known before 2007, you can see it mentioned in the following comedy clip @1:40. The big man DIA was laughing, while the issue was affecting many young girls.